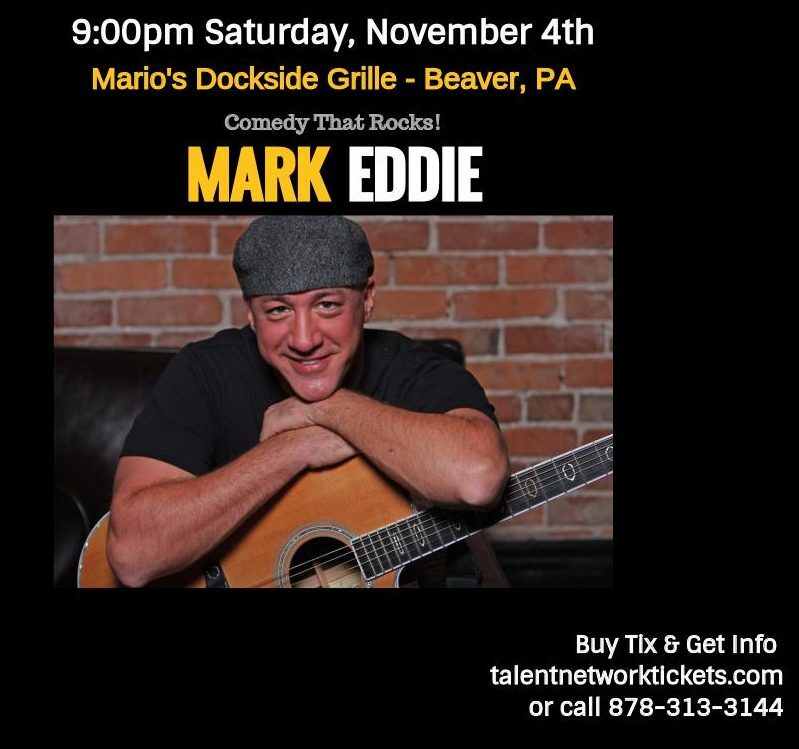 Mario’s Dockside Grille Hosting Rock Comic Mark Eddie on November 4 - talent network, inc.
LA-based Rock Comic mark eddie is coming to town! On Saturday, November 4 – for one-night-only – mark will be performing his one-of-a-kind Rock Comedy show at Mario’s Dockside Grille in Beaver, PA. Doors open at 7:00pm, show starts at 9:00pm. 21+ only. Buy your tickets at https://www.showclix.com/event/markeddiecomedy and http://talentnetworktickets.com/.